Coffee Lake Refresh bridges the gap between Coffee Lake and AMD Ryzen 2nd Generation – or it will until AMD launches its 3rd Generation Ryzen chips. 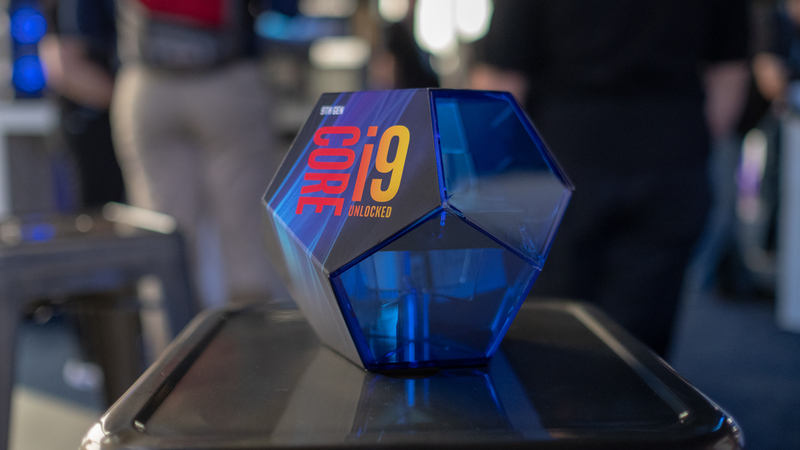 We’ll see how successful Coffee Lake Refresh is once we’ve finished testing all the different chips, but just judging by the Intel Core i9-9900K, Intel has succeeded in performance, even if the sales don’t reflect that success. With Intel’s first mainstream, 8-core, 16-thread processors for consumers, Coffee Lake Refresh changes everything. Now, this is just the highlight reel, but there is so much more Coffee Lake Refresh information out there, so strap in for the long ride and we’ll tell you everything there is to know about the latest from Intel. 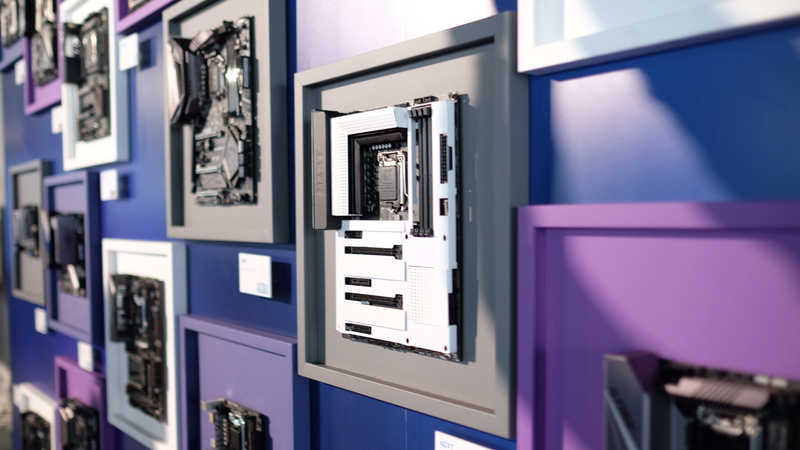 Then, in April 2019, Intel filled out the Coffee Lake Refresh lineup both on the desktop and the mobile side. Over on mobile, we’re getting new H-series laptop chips, which should be behind the best gaming laptops this year. 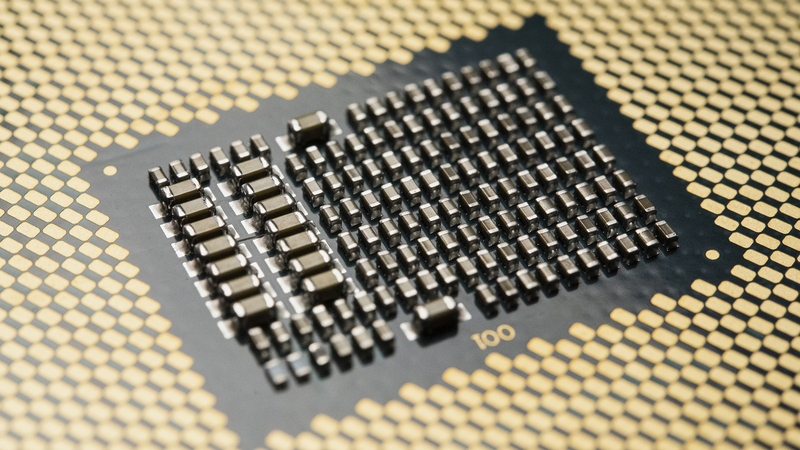 Alongside these mobile chips, we’re getting new desktop CPUs, namely the non-K variants. All of these new chips should start shipping soon. The only exception would be the Intel Core i5-9400F, which is a non-overclockable chip without graphics. But, it’s significantly cheaper than the Intel Core i5-9600K. Now that Intel has shown us what Coffee Lake Refresh is capable of, we have a clear picture of what these new processors look like. And, now that the Coffee Lake Refresh lineup is fleshed out, here is the core consumer lineup. This lineup is noteworthy, as it marks the first Intel Core i7 chip in a while without hyperthreading – instead it just features eight single-threaded cores. Still, that should be plenty, especially considering the impressive 4.9GHz boost clock. Luckily, there is still a 9th-generation consumer chip that retains hyperthreading in Intel’s Core i9-9900K. Then, there’s the F-series chips, which don’t come with the same Intel UHD 630 integrated GPU as the rest of the lineup. This lack of a GPU doesn’t come with a price drop, but it looks like they’re designed for OHM use. 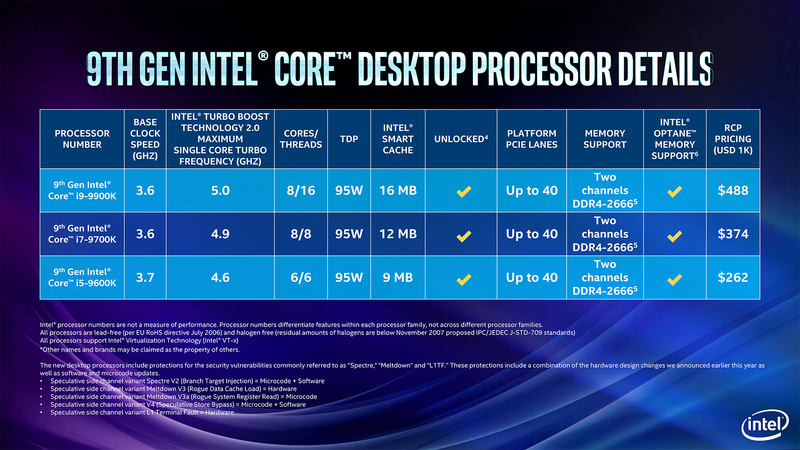 Intel might be pushing core counts even higher in the future. A recent forum post suggests that deca-core ‘Comet Lake’ processors, based on the same 14nm process as Coffee Lake Refresh are incoming. Either way it looks like Intel won’t be done with 14nm any time soon, unfortunately: its upcoming Cascade Lake processors will be based on the same process.